The Little Oak Tree: Planting the seed of "The little oak tree"
Planting the seed of "The little oak tree"
Hello there, it is so lovely to see you, thanks for dropping by. What are we doing here in blog-land you might ask? Well after much cajoling, gentle nudging and all round encouragement from our lovely friends and family, we have finally decided to jump in the deep end and start up a little event planning business, yikes! 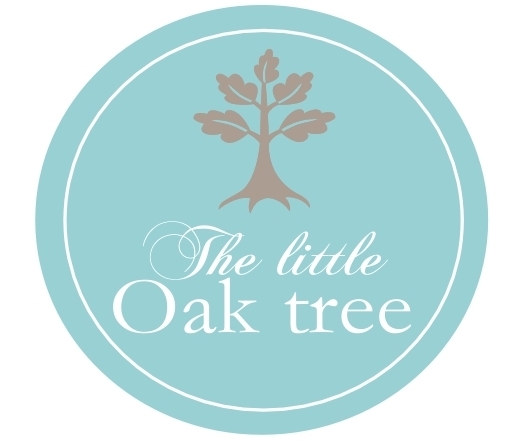 We have named our little venture "The Little Oak Tree", and our belief is we can "grow your event with you". The oak tree is a symbol of the Anderson clan (Kylie's family name) and we like the idea of our little oak tree beginning as something small before growing into a beautiful strong oak. 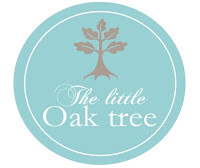 The Little Oak Tree will offer event planning and design as well as gorgeous dessert tables, cakes, cookies and lots more goodies. This blog will be a space for us to post photos and details from some of our events, as well as thoughts about our life and loves and images and ideas that inspire us. Hi Kylie. The fabric square bunting looks fantastic. Definately go ahead and do this. Went looking today for bags of white marshmellows and could only find pink and white, will keep looking though. Wooden chairs in the picture look great, pity we cant get those:( Also, jars with the flowers look wonderful.